I'm having trouble accessing my SiteWit account. If you find yourself locked out of your account, and unable to remember your password, here are a few ways to access your account. If you use Yola, Weebly, or WiX, skip to your section to find specific instructions. If you are still unable to access your account with the information below, please contact us at support@sitewit.com with your website URL and a brief message. SiteWit Users: If you use login.sitewit.com, you can use the forgot password feature to reset your password. If you're unable to remember your email address for your account, contact support@sitewit.com with a brief message and include your website URL. Yola + SiteWit Users: You shouldn't need a password! 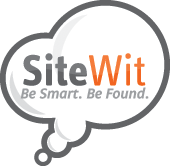 Make sure to access SiteWit from your my.yola.com dashboard under the Site Traffic tab --> SiteWit. Weebly Users: If you have the Stats and Marketing app installed, you can access SiteWit from that Weebly app, or use weebly.sitewit.com and login with your Weebly credentials.